A note from Louise: In 2013, I published my first book – an introductory editorial business-planning guide entitled Business Planning for Editorial Freelancers. I wanted to provide readers with a real-world view of what it’s like to enter the world of editorial freelancing. Three of my colleagues were kind enough to act as case studies, sharing insights into their experiences of building an editorial business: Johanna Robinson, Mary McCauley and Grace Wilson. At the time of publication, all three were relatively new to the field (their start-ups were under two years old). Each of them created vibrant, successful editorial businesses, working with a range of clients across the UK and Ireland. Their candid accounts illustrated the challenges of editorial freelancing – but also suggested how the path to success could be achieved through determination, skills acquisition, strategic planning and targeted marketing. Here we are three years later in 2016. My colleagues left behind their new-starter status a long time ago. They’re now established editorial business owners who are not only working for paying clients but also helping less experienced colleagues navigate their way through the world of editorial freelancing via training programmes and conference presentations. It’s nearly four years since I first wrote a guest article for The Proofreader’s Parlour on how I set up my editorial business, and subsequently appeared as a case study in Louise’s debut book Business Planning for Editorial Freelancers. It feels like a lifetime ago; back in December 2012, I never imagined how my editorial journey would continue. Thankfully, it has been a good four years for me. I have moved to full-time hours and my work schedule has been more or less fully booked up for the past two years. However, I no longer regularly work weekends unless I have agreed a premium rate with my client. As for most people setting up a business, the early years involved long hours of work and weeks without a break. This worked for a while, but I learned that I cannot work that way indefinitely; I need regular time away from my desk or I can’t do my best work. And as my turnover has increased year on year as my business grows, I’m now able to take proper holidays at Christmas and during the summer. When I started out in 2012, my main service offering was proofreading and a little copy-editing; now copy-editing work has overtaken proofreading. I also offer some project management services (including liaison with typesetters, designers and illustrators; picture research; and artwork coordination), as well as e-book conversion review services. Additionally, I’ve become involved in training delivery. In June 2014, I was invited to present an editing masterclass for fiction authors at our local Wexford Literary Festival. Not long after, I presented a Marketing Tools for the Freelance Editor seminar at the 2014 SfEP conference and, while it was a daunting but exhilarating experience, I learned a lot from it. Last year I was approached by Irish writer and lecturer Claire Keegan to teach a two-day course on grammar, punctuation and style to her students. It went well and we ran the course again earlier this year. The Wexford Literary Festival invited me back this summer as a panel member for an Industry Experts Q&A discussion and I’m also a regular guest speaker on my Local Enterprise Office’s Start Your Own Business course. More recently, I’m signed up as a speed mentor at this year’s SfEP conference. So through contacts and referrals I’ve slowly gained experience in editorial and editorial-business training, and I’m interested in how I might further develop it as a business offering. At the start, I cast my net wide in search of clients – anything to get experience. I have since narrowed down my client base. On the fiction side, the majority of my work is for independent authors. Not all of these wish to self-publish; some are preparing their manuscript for submission to an agent, publisher or competition. 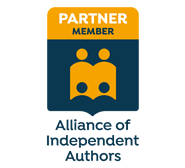 On the non-fiction side, while I also work with independent authors, the majority of my clients are businesses, public sector bodies and publishers. Due to schedule constraints and short turnaround times, for the moment I no longer work for students. Investing in quality training has been a priority for me over the past four years and my short-term aim is to continue to invest in learning new skills in a bid to expand the range of services I offer. I’ve completed six editorial courses (SfEP/PTC/Publishing Ireland) since 2012. Each has directly helped pay for itself; for example, the SfEP’s On-screen Editing 1 helped me work more efficiently and thus earn a better rate, while the Publishing Training Centre’s (PTC) Rewriting and Substantive Editing course gave me the confidence to take on an well-paid editing project I otherwise wouldn’t have. Recently, AFEPI Ireland members have been able to take advantage of the PTC courses now running at the Irish Writers Centre in Dublin. Ireland-based editors can now avail themselves of these without travelling to the UK as many would have done in the past. The courses also have the added benefit of presenting an opportunity for freelance and in-house editors to meet. I regularly learn new ideas and tips from the AFEPI Ireland/SfEP/EAE forums and save shared links for future reference. I find these forums an invaluable source of CPD. Though it is one of my larger yearly expenses, I value my membership of both AFEPI Ireland and SfEP. The support of Irish and UK colleagues, and colleagues further afield, has been one of the most warming experiences of setting up my business. Catching up with AFEPI Ireland friends and colleagues at meetings and training courses in Ireland has been wonderful and energising, and I always come away having learned something. Attending the 2014 SfEP conference in London was an unforgettable experience and I finally understood what ‘finding your tribe’ means. I joined Twitter in 2012 and continue to find it a useful learning platform that has helped me meet and interact with publishing professionals in Ireland and abroad. When I receive business enquiries I always ask how the person found me, as I need to know which of my marketing efforts are working. The majority of my enquiries come via my website, which enquirers say they found following a Google search. My website’s probably due an overhaul but I’m pleased with how it has worked for me. I also started my own blog, Letters from an Irish Editor, at the start of 2014. I admit I really struggle to find the time to post regularly (it takes me several hours to write a single article!) but as there is always increased traffic to my website when I do, I’ll battle on. When I upgraded to Professional Member status, I took out an entry in the SfEP Directory and I’ve seen some enquiries and work from this direction. After my website, most enquiries come via my AFEPI Ireland Directory entry and from referrals from colleagues. I think my AFEPI Ireland entry is more successful than my SfEP one due to my location, both in terms of my Irish clients preferring an Ireland-based service, but also from a currency point of view. I have had a listing on Find A Proofreader since 2012; as well as receiving the regular job postings I’ve also had direct enquiries and work from it. While a lot of the jobs have too short a turnaround time for my schedule, my entry helps with my website SEO, so at the current advertising rate I find it’s worth the cost. While I’ve continued to work extremely hard to grow my business and client base, the most important thing I’ve learned is to recognise valuable clients and to pursue a client base that offers me the best rates and projects. As I’ve gained experience and undertaken additional training, I’ve become more confident in my editorial and business abilities and in the worth of my service offering when quoting to clients. I’ve come to realise that some clients cannot afford or are unwilling to pay for my services and that if I clog up my schedule with low-paying projects, I won’t have the capacity to work on a more desirable project when it presents itself. Good customer service and reputation are essential for business success. Training pays for itself in the long run and facilitates the introduction of new services. Interacting with trusted colleagues is a valuable source of support and work. It is important to trust your business instinct. Recognising and seizing an opportunity when it presents itself is essential for business growth. Extensive use of macros has a direct positive impact on your profitability. Mary McCauley runs an editorial business providing project management, copy-editing and proofreading services to authors, publishers, corporate clients and public sector bodies. She is a Full Member of the Association of Freelance Editors, Proofreaders and Indexers (AFEPI Ireland) and a Professional Member of SfEP. She has taught self-editing courses as part of the Claire Keegan Fiction Clinic series, and has presented seminars at the Wexford Literary Festival and the SfEP’s 2014 conference. She is a regular guest speaker on her Local Enterprise Office’s Start Your Own Business course. Mary lives near Wexford in the south-east of Ireland. You can contact Mary at info@marymccauleyproofreading.com, through her website Mary McCauley Proofreading, or via LinkedIn, Twitter, Facebook and Google+.